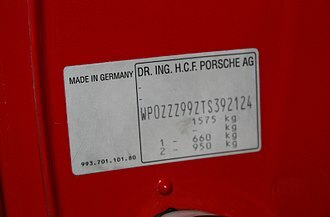 A serial number is a unique identifier assigned incrementally or sequentially to an item, to uniquely identify it. Serial numbers need not be strictly numerical. They may contain letters and other typographical symbols, or may consist entirely of a character string. Serial numbers identify otherwise identical individual units with many, obvious uses. Serial numbers are a deterrent against theft and counterfeit products, as they can be recorded, and stolen or otherwise irregular goods can be identified. Some items with serial numbers are automobiles, electronics, and appliances. Banknotes and other transferable documents of value bear serial numbers to assist in preventing counterfeiting and tracing stolen ones. They are valuable in quality control, as once a defect is found in the production of a particular batch of product, the serial number will identify which units are affected. 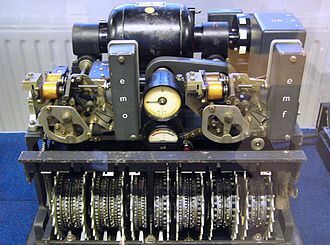 Serial numbers may be used to identify individual physical or intangible objects (for example computer software or the right to play an online multiplayer game). The purpose and application is different. A software serial number, otherwise called product key, is usually not embedded in the software, but is assigned to a specific user with a right to use the software. The software will function only if a potential user enters a valid product code. The vast majority of possible codes are rejected by the software. If an unauthorised user is found to be using the software, the legitimate user can be identified from the code. It is usually not impossible, however, for an unauthorised user to create a valid but unallocated code either by trying many possible codes, or reverse engineering the software; use of unallocated codes can be monitored if the software makes an Internet connection. The term serial number is sometimes used for codes which do not identify a single instance of something. For example, the International Standard Serial Number or ISSN used on magazines and other periodicals, an equivalent to the International Standard Book Number (ISBN) applied to books, is serially assigned not to each individual copy but to an issue of a periodical. It takes its name from the library science use of the word serial to mean a periodical. Certificates and certificate authorities (CA) are necessary for widespread use of cryptography. These depend on applying mathematically rigorous serial numbers and serial number arithmetic, again not identifying a single instance of the content being protected. The term serial number is also used in military formations as an alternative to the expression service number. 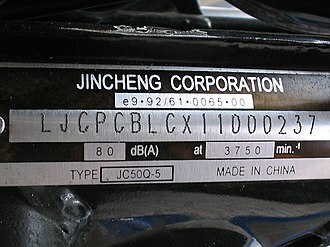 In air forces, the serial number is used to uniquely identify individual aircraft and is usually painted on both sides of the aircraft fuselage, most often in the tail area, although in some cases the serial is painted on the side of the aircraft's fin/rudder(s). Because of this, the serial number is sometimes called a tail number. In the UK Royal Air Force (RAF) the individual serial takes the form of two letters followed by three digits, e.g., BT308—the prototype Avro Lancaster, or XS903—an English Electric Lightning F.6 at one time based at RAF Binbrook. During the Second World War RAF aircraft that were secret or carrying secret equipment had "/G" (for "Guard") appended to the serial, denoting that the aircraft was to have an armed guard at all times while on the ground, e.g., LZ548/G—the prototype de Havilland Vampire jet fighter, or ML926/G—a de Havilland Mosquito XVI experimentally fitted with H2S radar. 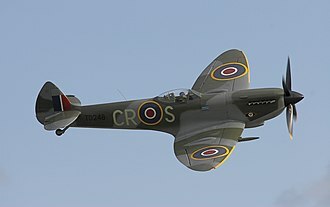 Prior to this scheme the RAF, and predecessor Royal Flying Corps (RFC), utilised a serial consisting of a letter followed by four figures, e.g., D8096—a Bristol F.2 Fighter currently owned by the Shuttleworth Collection, or K5054—the prototype Supermarine Spitfire. The serial number follows the aircraft throughout its period of service. In 2009, the U.S. FDA published draft guidance for the pharmaceutical industry to use serial numbers on prescription drug packages. This measure is intended to enhance the traceability of drugs and to help prevent counterfeiting. Serial numbers are often used in network protocols. However, most sequence numbers in computer protocols are limited to a fixed number of bits, and will wrap around after a sufficiently many numbers have been allocated. Thus, recently allocated serial numbers may duplicate very old serial numbers, but not other recently allocated serial numbers. To avoid ambiguity with these non-unique numbers, RFC 1982 "Serial Number Arithmetic", defines special rules for calculations involving these kinds of serial numbers. ^ "British Aircraft Corporation Lightning F.Mk.6". 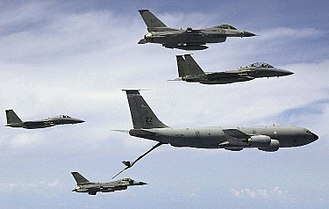 1000aircraftphotos.com. ^ Food and Drug Administration. "Guidance for Industry Standards for Securing the Drug Supply Chain - Standardized Numerical Identification for Prescription Drug Packages Draft Guidance". Archived from the original on 11 May 2009. 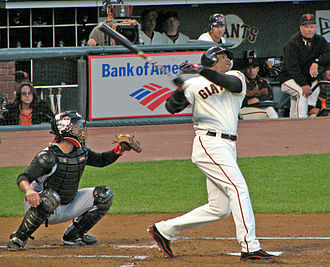 Retrieved 19 April 2009. An identity document is any document which may be used to prove a persons identity. If issued in a small, standard credit card size form, some countries issue formal identity documents, while others may require identity verification using informal documents. When the identity document incorporates a persons photograph, it may be called photo ID, in the absence of a formal identity document, a drivers license may be accepted in many countries for identity verification. Some countries do not accept drivers licenses for identification, often because in countries they do not expire as documents. Most countries accept passports as a form of identification, some countries require all people to have an identity document available at any time. Many countries require all foreigners to have a passport or occasionally a national identity card from their country available at any time if they do not have a permit in the country. The identity document is used to connect a person to information about the person, the photo and the possession of it is used to connect the person with the document. A unique national identification number is the most secure way, a version of the passport considered to be the earliest identity document inscribed into law was introduced by King Henry V of England with the Safe Conducts Act 1414. For the next 500 years and before World War I, most people did not have or need an identity document, both Australia and Great Britain, for example, introduced the requirement for a photographic passport in 1915 after the so-called Lody spy scandal. The shape and size of identity cards were standardized in 1985 by ISO/IEC7810, some modern identity documents are smart cards including a difficult-to-forge embedded integrated circuit, that were standardized in 1988 by ISO/IEC7816. New technologies allow identity cards to contain information, such as photographs, hand or iris measurements. Electronic identity cards are available in countries including Belgium, Estonia, Guatemala, Hong Kong, Morocco, Portugal. Law enforcement officials claim that identity cards make surveillance and the search for criminals easier, in countries that dont have a national identity card, there is, concern about the projected large costs and potential abuse of high-tech smartcards. The pharmaceutical industry discovers, develops and markets drugs or pharmaceutical drugs for use as medications. Pharmaceutical companies may deal in generic or brand medications and medical devices and they are subject to a variety of laws and regulations that govern the patenting, safety and marketing of drugs. The modern pharmaceutical industry traces its roots to two sources, the first of these were local apothecaries that expanded from their traditional role distributing botanical drugs such as morphine and quinine to wholesale manufacture in the mid 1800s. Multinational corporations including Merck, Hoffman-La Roche, Burroughs-Wellcome, Abbott Laboratories, Eli Lilly, in 1897, John Abel of Johns Hopkins University identified the active principle as epinephrine, which he isolated in an impure state as the sulfate salt. Industrial chemist Jokichi Takamine developed a method for obtaining epinephrine in a pure state, Parke Davis marketed epinephrine under the trade name Adrenalin. Injected epinephrine proved to be efficacious for the acute treatment of asthma attacks. By 1929 epinephrine had been formulated into an inhaler for use in the treatment of nasal congestion, while highly effective, the requirement for injection limited the use of norepinephrine and orally active derivatives were sought. A structurally similar compound, was identified by Japanese chemists in the Ma Huang plant, following the work of Henry Dale and George Barger at Burroughs-Wellcome, academic chemist Gordon Alles synthesized amphetamine and tested it in asthma patients in 1929. The drug proved to have only modest anti-asthma effects, but produced sensations of exhilaration, amphetamine was developed by Smith and French as a nasal decongestant under the trade name Benzedrine Inhaler. Amphetamine was eventually developed for the treatment of narcolepsy, post-encepheletic parkinsonism, the discovery was patented and licensed to Bayer pharmaceuticals, which marketed the compound under the trade name Veronal as a sleep aid beginning in 1904. Phenobarbital was among the most widely used drugs for the treatment of epilepsy through the 1970s, amphetamine is largely restricted to use in the treatment of attention deficit disorder and phenobarbital in the treatment of epilepsy. A series of experiments performed from the late 1800s to the early 1900s revealed that diabetes is caused by the absence of a substance produced by the pancreas. 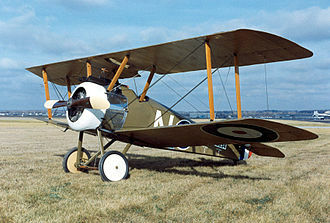 The Bristol F.2 Fighter was a British two-seat biplane fighter and reconnaissance aircraft of the First World War developed by the Bristol Aeroplane Company. It is often called the Bristol Fighter, other popular names include the Brisfit or Biff. Despite being a two-seater, the F. 2B proved to be an aircraft that was able to hold its own against opposing single-seat fighters. Having overcome a disastrous start to its career, the F. 2Bs robust design ensured that it remained in service into the 1930s. As the type was phased out of service, many of the surplus aircraft entered into civilian uses. Amongst other attributes and performance requirements, there was an emphasis placed upon the aircrafts self-defence capabilities. Various submissions were made to meet the RCFs specification, the Royal Aircraft Factory responded with its R. E.8 design, on 16 June 1916, the first prototype R. E.8 was presented for final inspection and production examples commenced delivery in September 1916. While thousands of R. E. 8s were produced, according to aviation author J. M.
Bruce, the Bristol F.2 Fighter came about as a result of Frank Barnwells brief experience as a front-line pilot with the Royal Flying Corps. The first proposal that was prepared by Barnwell, which was designated the Type 9 R. 2A, was an equal-span two-seat biplane that made use of the 120 hp Beardmore engine. This was considered to be underpowered, and thus a second revised design, designated as the Type 9A R. 2B, was an unequal-span biplane that was powered by the 150 hp Hispano Suiza, was proposed. On both the R. 2A and R. 2B, the crew were placed together in a mid-gap mounted fuselage. Neither the R. 2A or R. 2B were constructed as a result of the new 190 hp Rolls-Royce Falcon inline engine having become available. Barnwell deciding to design a third revision of the aircraft around the Falcon engine and this aircraft, designated as the Type 12 F. 2A, was a two-bay equal-span biplane, closely resembling the R. 2A but being slightly smaller. These features were intended to optimize the field of fire for the observer, in July 1916, work commenced on the construction of a pair of prototypes, on 28 August 1916, a initial contract was awarded for 50 production aircraft. The Avro Lancaster is a British four-engined Second World War heavy bomber designed and built by Avro for the Royal Air Force. 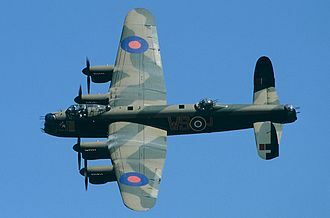 The Lanc, as it was known, thus became one of the more famous and most successful of the Second World War night bombers. The Lancaster, an evolution of the troublesome Avro Manchester, was designed by Roy Chadwick and was powered by four Rolls-Royce Merlins, or, in one version and this was the largest payload of any bomber in the war. In 1943, a Lancaster was converted to become an engine test bed for the Metropolitan-Vickers F.2 turbojet, Lancasters were used to test other engines, including the Armstrong Siddeley Mamba and Rolls-Royce Dart turboprops, and the Avro Canada Orenda and STAL Dovern turbojets. 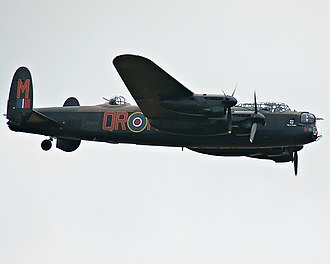 Postwar, the Lancaster was supplanted as the RAFs main strategic bomber by the Avro Lincoln, the Lancaster took on the role of long range anti-submarine patrol aircraft and air-sea rescue. In March 1946, a Lancastrian of BSAA flew the first scheduled flight from the new London Heathrow Airport, the resulting aircraft was the Manchester, although a capable aircraft, was underpowered and troubled by the unreliability of the Vulture engine. Only 200 Manchesters were built, with the type withdrawn from service in 1942, at first the aircraft was called Avro Type 683 Manchester III and renamed the Lancaster. The prototype aircraft BT308 was assembled by the Avro experimental flight department at Ringway Airport, test pilot H. A. Bill Thorn took the controls for its first flight at Ringway, on Thursday,9 January 1941. The aircraft proved to be an improvement on its predecessor. 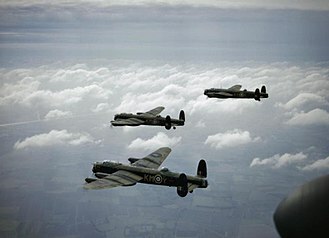 Some of the orders for Manchesters were changed in favour of Lancasters. The Lancaster discarded the stubby central third tail fin of the early Manchesters and used the wider span tailplane, the majority of Lancasters built during the war years were manufactured by Avro at their factory at Chadderton near Oldham, Greater Manchester and test flown from Woodford Aerodrome in Cheshire. Other Lancasters were built by Metropolitan-Vickers and Armstrong Whitworth, the Lancaster B III had Packard Merlin engines but was otherwise identical to contemporary B Is, with 3,030 B IIIs built, almost all at Avros Newton Heath factory. The Royal Air Force is the United Kingdoms aerial warfare force. Formed towards the end of the First World War on 1 April 1918, following victory over the Central Powers in 1918 the RAF emerged as, at the time, the largest air force in the world. The RAF describe its mission statement as, an agile and capable Air Force that, person for person, is second to none, and that makes a decisive air power contribution in support of the UK Defence Mission. The mission statement is supported by the RAFs definition of air power, Air power is defined as the ability to project power from the air and space to influence the behaviour of people or the course of events. 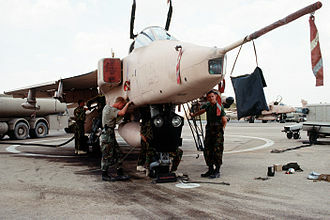 Today the Royal Air Force maintains a fleet of various types of aircraft. The majority of the RAFs rotary-wing aircraft form part of the tri-service Joint Helicopter Command in support of ground forces, most of the RAFs aircraft and personnel are based in the UK, with many others serving on operations or at long-established overseas bases. It was founded on 1 April 1918, with headquarters located in the former Hotel Cecil, during the First World War, by the amalgamation of the Royal Flying Corps, at that time it was the largest air force in the world. The RAFs naval aviation branch, the Fleet Air Arm, was founded in 1924, the RAF developed the doctrine of strategic bombing which led to the construction of long-range bombers and became its main bombing strategy in the Second World War. The RAF underwent rapid expansion prior to and during the Second World War, under the British Commonwealth Air Training Plan of December 1939, the air forces of British Commonwealth countries trained and formed Article XV squadrons for service with RAF formations. Many individual personnel from countries, and exiles from occupied Europe. By the end of the war the Royal Canadian Air Force had contributed more than 30 squadrons to serve in RAF formations, the Royal Australian Air Force represented around nine percent of all RAF personnel who served in the European and Mediterranean theatres. In the Battle of Britain in 1940, the RAF defended the skies over Britain against the numerically superior German Luftwaffe, the largest RAF effort during the war was the strategic bombing campaign against Germany by Bomber Command. H2S was the first airborne, ground scanning radar system. It was used as a general navigation system, allowing landmarks to be identified at long range. The first systems worked at 9.1 cm like the AI Mk, VIII radar they were developed from, and went into service in 1942 as the TR3159 and TR3191. After it was found the resolution of these sets was too low to be useful over large cities like Berlin, in 1943 work started on an operating in the X band at 3 cm. A wide variety of these H2S Mk, III versions were produced before the Mk. IIIG was selected as the late-war standard, the US Radiation Laboratory produced an X band system, the H2X. On its second mission on 2/3 February 1943, an H2S was captured almost intact by German forces. Combined with intelligence gathered from the crew, they learned it was a mapping system and were able to determine its method of operation. When they managed to piece one together from parts and saw the display of Berlin and this led to the introduction of the FuG350 Naxos radar detector, which enabled Luftwaffe night fighters to home on the transmissions of H2S. 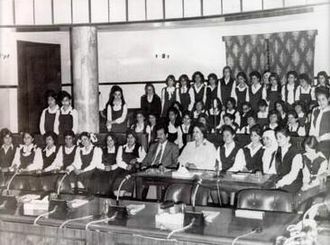 The British learned of Naxos and a debate ensued over the use of H2S. However, calculations showed that losses during this period were less than before. Development continued through the late-war Mk, IX that equipped the V bomber fleet. IX was tied into both the bombsight and navigation system to provide a complete long-range Navigation and Bombing System, in this form, H2S was last used in anger during the Falklands War in 1982 on the Avro Vulcan. 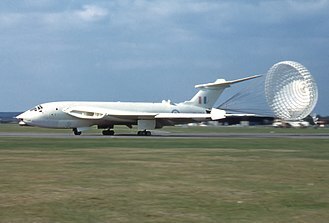 IX units remained in service on the Handley Page Victor aircraft until 1993, the targeting radar was originally designated BN, but it quickly became H2S. The genesis of this remains somewhat contentious, with different sources claiming it meant Height to Slope. The rotten connection, with a twist, is propounded by R. V, when Cherwell asked how the project was progressing, he was most upset to hear that it had been put on hold, and repeatedly declared about the delay that it stinks. After the Battle of Britain, RAF Bomber Command began night attacks against German cities, the British developed a radio navigation system called Gee and a second medium-range navigation scheme known as Oboe. 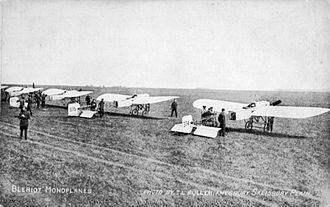 The Royal Flying Corps was the air arm of the British Army before and during the First World War, until it merged with the Royal Naval Air Service on 1 April 1918 to form the Royal Air Force. During the early part of the war, the RFC supported the British Army by artillery co-operation, at the start of World War I the RFC, commanded by Brigadier-General Sir David Henderson, consisted of five squadrons – one observation balloon squadron and four aeroplane squadrons. These were first used for spotting on 13 September 1914. Aerial photography was attempted during 1914, but again only became effective the next year, by 1918, photographic images could be taken from 15,000 feet and were interpreted by over 3,000 personnel. 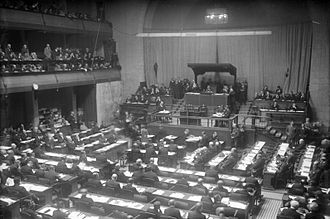 By this time parachutes had been used by balloonists for three years, on 17 August 1917, South African General Jan Smuts presented a report to the War Council on the future of air power. On 1 April 1918, the RFC and the RNAS were amalgamated to form a new service, after starting in 1914 with some 2,073 personnel, by the start of 1919 the RAF had 4,000 combat aircraft and 114,000 personnel in some 150 squadrons. 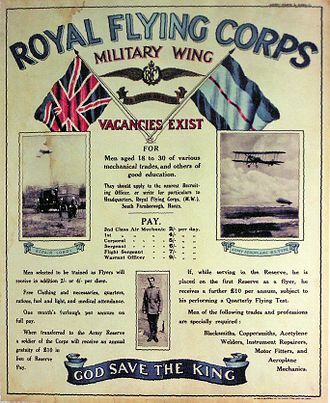 The recommendations of the committee were accepted and on 13 April 1912 King George V signed a royal warrant establishing the Royal Flying Corps, the Air Battalion of the Royal Engineers became the Military Wing of the Royal Flying Corps a month on 13 May. 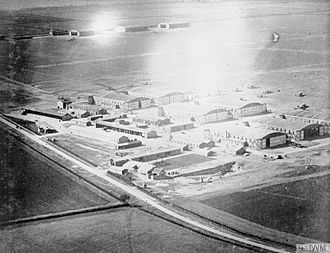 The Flying Corps initial allowed strength was 133 officers, and by the end of year it had 12 manned balloons and 36 aeroplanes. The RFC originally came under the responsibility of Brigadier-General Henderson, the Director of Military Training, and had branches for the Army. Major Sykes commanded the Military Wing and Commander C R Samson commanded the Naval Wing, the RFCs motto was Per ardua ad astra. This remains the motto of the Royal Air Force and other Commonwealth air forces, the RFCs first fatal crash was on 5 July 1912 near Stonehenge on Salisbury Plain. Loraine and his observer, Staff Sergeant R. H. V, an order was issued after the crash stating Flying will continue this evening as usual, thus beginning a tradition. Four months on 11 December 1912 Parke was killed when the Handley Page monoplane in which he was flying from Hendon to Oxford crashed. The Internet is the global system of interconnected computer networks that use the Internet protocol suite to link devices worldwide. The origins of the Internet date back to research commissioned by the United States federal government in the 1960s to build robust, the primary precursor network, the ARPANET, initially served as a backbone for interconnection of regional academic and military networks in the 1980s. Although the Internet was widely used by academia since the 1980s, Internet use grew rapidly in the West from the mid-1990s and from the late 1990s in the developing world. In the two decades since then, Internet use has grown 100-times, measured for the period of one year, newspaper and other print publishing are adapting to website technology, or are reshaped into blogging, web feeds and online news aggregators. The entertainment industry was initially the fastest growing segment on the Internet, the Internet has enabled and accelerated new forms of personal interactions through instant messaging, Internet forums, and social networking. Business-to-business and financial services on the Internet affect supply chains across entire industries, the Internet has no centralized governance in either technological implementation or policies for access and usage, each constituent network sets its own policies. The term Internet, when used to refer to the global system of interconnected Internet Protocol networks, is a proper noun. In common use and the media, it is not capitalized. Some guides specify that the word should be capitalized when used as a noun, the Internet is often referred to as the Net, as a short form of network. 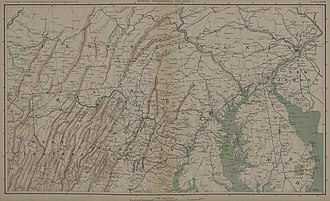 Historically, as early as 1849, the word internetted was used uncapitalized as an adjective, the designers of early computer networks used internet both as a noun and as a verb in shorthand form of internetwork or internetworking, meaning interconnecting computer networks. The terms Internet and World Wide Web are often used interchangeably in everyday speech, the World Wide Web or the Web is only one of a large number of Internet services. The Web is a collection of interconnected documents and other web resources, linked by hyperlinks, the term Interweb is a portmanteau of Internet and World Wide Web typically used sarcastically to parody a technically unsavvy user. The ARPANET project led to the development of protocols for internetworking, the third site was the Culler-Fried Interactive Mathematics Center at the University of California, Santa Barbara, followed by the University of Utah Graphics Department. In an early sign of growth, fifteen sites were connected to the young ARPANET by the end of 1971. These early years were documented in the 1972 film Computer Networks, early international collaborations on the ARPANET were rare. European developers were concerned with developing the X.25 networks, in December 1974, RFC675, by Vinton Cerf, Yogen Dalal, and Carl Sunshine, used the term internet as a shorthand for internetworking and RFCs repeated this use. 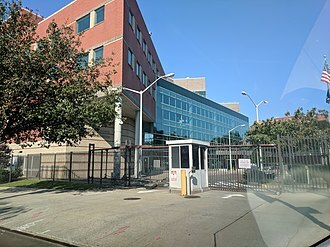 Access to the ARPANET was expanded in 1981 when the National Science Foundation funded the Computer Science Network, in 1982, the Internet Protocol Suite was standardized, which permitted worldwide proliferation of interconnected networks.5 Mbit/s and 45 Mbit/s. Rather than classifying information based on nature-oriented elements, as was previously done in his Bavarian library, Schrettinger organized books in alphabetical order. The first American school for science was founded by Melvil Dewey at Columbia University in 1887. It is an aspect of the field of librarianship. Historically, library science has included archival science, LIS should not be confused with information theory, the mathematical study of the concept of information. Library and information science can be seen as an integration of the two fields of science and information science, which were separate at one point. Library philosophy has been contrasted with science as the study of the aims. The earliest text on library operations, Advice on Establishing a Library was published in 1627 by French librarian, Naudé wrote prolifically, producing works on many subjects including politics, religion and the supernatural. He put into all the ideas put forth in Advice when given the opportunity to build. Martin Schrettinger wrote the textbook on the subject from 1808 to 1829. The Jefferson collection provided the start of what became the Library of Congress, the term library economy was common in the U. S. until 1942, with the library science predominant through much of the 20th century. Later, the term was used in the title of S. R. Ranganathans The Five Laws of Library Science, published in 1931, and in the title of Lee Pierce Butlers 1933 book, An introduction to library science. S. R. Ranganathan conceived the five laws of science and the development of the first major analytico-synthetic classification system. In India, he is considered to be the father of science, documentation. He was one of the first faculty at the University of Chicago Graduate Library School and this research agenda went against the more procedure-based approach of library economy, which was mostly confined to practical problems in the administration of libraries. While Ranganathans approach was philosophical it was tied more to the day-to-day business of running a library. A counterfeit medication or a counterfeit drug is a medication or pharmaceutical product which is produced and sold with the intent to deceptively represent its origin, authenticity or effectiveness. Counterfeit drugs are related to pharma fraud, Drug manufacturers and distributors are increasingly investing in countermeasures, such as traceability and authentication technologies, to try to minimise the impact of counterfeit drugs. Patients die after being given drugs that do not cure their condition. Antibiotics with insufficient quantities of an active ingredient add to the problem of antibiotic resistance, correctly labeled, low-cost generic drugs are not counterfeit or fake, but can be caught up in anticounterfeiting enforcement measures. Generic drugs are subject to regulations in countries where they are manufactured. Otherwise, legitimate drugs that have passed their date of expiry are sometimes remarked with false dates, since counterfeiting is difficult to detect, quantify, or stop, the quantity of counterfeit medication is difficult to determine. In 2003, the World Health Organization cited estimates that the earnings from substandard and/or counterfeit drugs were over US$32 billion. The considerable difference between the cost of manufacturing counterfeit medication and price counterfeiters charge is a lucrative incentive, fake antibiotics with a low concentration of the active ingredients can do damage worldwide by stimulating the development of drug resistance in surviving bacteria. Courses of antibiotic treatment which are not completed can be dangerous or even life-threatening, if a low-potency counterfeit drug is involved, completion of a course of treatment cannot be fully effective. Counterfeit drugs have even known to have been involved in clinical drug trials. Several technologies may prove helpful in combating the drug problem. The U. S. Food and Drug Administration is working towards an electronic system to track drugs from factory to pharmacy. This technology may prevent the diversion or counterfeiting of drugs by allowing wholesalers and pharmacists to determine the identity, some techniques, such as Raman spectroscopy and energy-dispersive X-Ray diffraction can be used to discover counterfeit drugs while still inside their packaging. Old (1958) South African identity card issued to a permanent resident (PR). 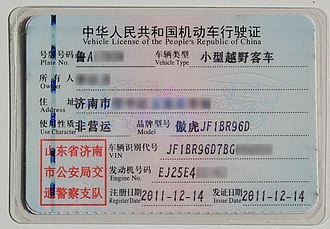 VIN is recorded in Vehicle License of China. 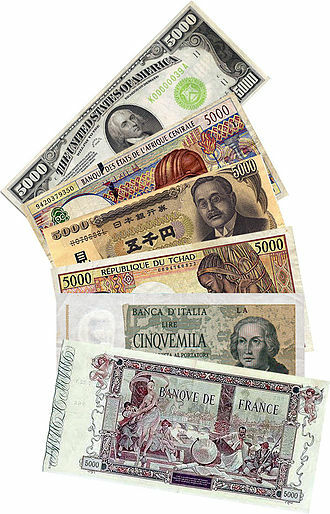 Banknotes with a face value of 5000 in different currencies. The current banknotes of the Swiss franc series possess at least eighteen security features. 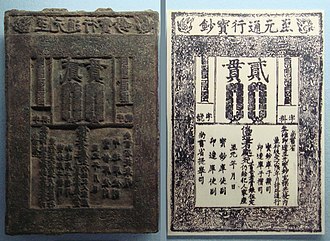 A Yuan dynasty printing plate and banknote with Chinese and Mongol words. Internet users per 100 population members and GDP per capita for selected countries. ICANN headquarters in the Playa Vista neighborhood of Los Angeles, California, United States. 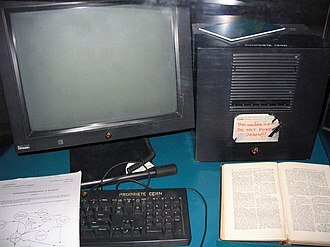 This NeXT Computer was used by Tim Berners-Lee at CERN and became the world's first Web server. 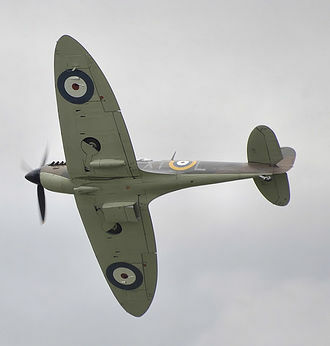 RAF Supermarine Spitfire played a vital role in British victory during the Battle of Britain. Lancaster B I dropping 4 lb incendiaries followed by 30 lb incendiaries and finishing up with a 4,000&nbsp;lb "cookie"
Tallboy bombs displayed with a standard R5868 Lancaster at RAF Scampton. Secrecy is sometimes considered of life or death importance. U.S. soldier at camp during World War II. A burn bag and security classification stickers on a laptop computer, between U.S. President Barack Obama and Vice President Joe Biden during updates on Operation Geronimo, a mission against Osama bin Laden, in the Situation Room of the White House, May 1, 2011. A Pratt & Whitney F100 turbofan engine for the F-15 Eagle being tested in the hush house at Florida Air National Guard base. The tunnel behind the engine muffles noise and allows exhaust to escape. A USAF F-22A Raptor stealth fighter. One of de Havilland's proposals was to adapt the de Havilland Albatross design to a fast bomber. Mosquito prototype W4050 landing after a test flight on 10 January 1941. Four test flights were flown that day. W4050 being restored at the de Havilland Aircraft Heritage Centre near St Albans. B Mk IV nose closeup showing bombsight and clear nose, plus engine nacelles and undercarriage. 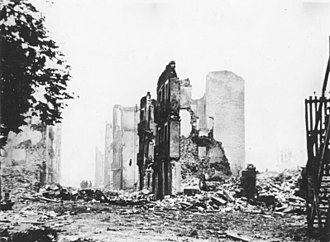 A photograph of the H2S display taken during an attack on Cologne - the annotations were added later for post attack analysis. The river Rhine is visible snaking from top to lower right. The H2S radome (top) and its enclosed scanning aerial (bottom) on a Halifax. The angled plate fixed to the top of the reflector modified the broadcast pattern to make nearby objects less bright on the display. 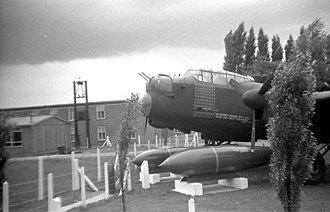 The Halifax V9977 pictured at RAF Hurn. This aircraft crashed in June 1942, killing several radar engineers, including Alan Blumlein. 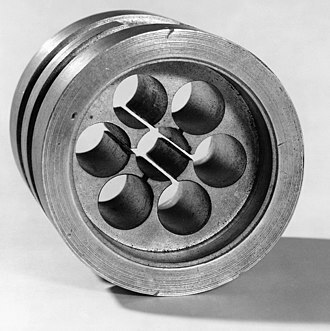 This 1940 model magnetron, one of the first built, illustrates its strong construction that led to its capture by the Germans. 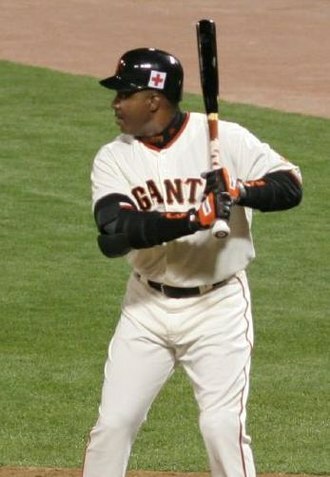 Glivec, a drug used in the treatment of several cancers, is marketed by Novartis, one of the world's major pharmaceutical companies. Malformation of a baby born to a mother who had taken thalidomide while pregnant. G-EBWD, flies regularly during displays at the Shuttleworth Collection. 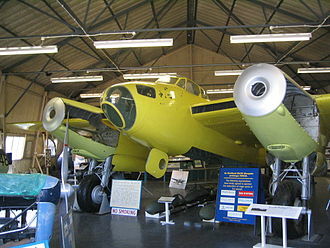 This Moth was originally Richard Shuttleworth's own private plane and during its career was extensively modified with an original Cirrus Hermes engine but an x-legged undercarriage and different windshields on the front and rear cockpit. Spitfire Vc, AR501, during extensive renovation by the Collection in September 2008. The pilot standing in front of the aircraft is pre-War Olympic hurdler, Sqn. Ldr. Donald O. Finlay, the commanding officer of 41 Squadron from September 1940 to August 1941, who adopted the aircraft as his personal mount. The same day P7666 was delivered to the Squadron, 23 November 1940, Finlay destroyed a Bf 109 on his first operational sortie in the aircraft. 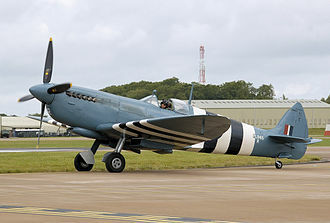 This Spitfire PR Mk XI (PL965) was built at RAF Aldermaston in southern England. 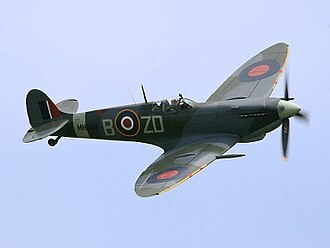 Spitfire Mk IIa P7350 of the BBMF is the only existing airworthy Spitfire that fought in the Battle of Britain. Strings are applied e.g. in Bioinformatics to describe DNA strands composed of nitrogenous bases. "Out of the Mud" flyer.